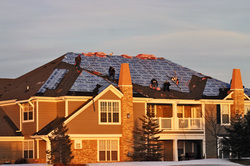 Southlake Roof Repair is a locally owned and operated Roofing Repair and Replacement Business. We provide service to Southlake and all the surrounding cities and towns. From our roots, we have stood by our motto that Reliability and Integrity will drive our Business to achieve great things. This has proven Profitable and Productive. We welcome clients from all these areas including areas in between. Give our Staff a call today to schedule a Free Estimate for Roof Repair on your home or Roof Installation on your New Home.